Despite the extensive use of well documented indices of dental fluorosis (Dean, 1942; Fejerskov, 1988), there is inconsistency in the reports on the prevalence rates of fluorosis for a given level of fluoride in drinking water. 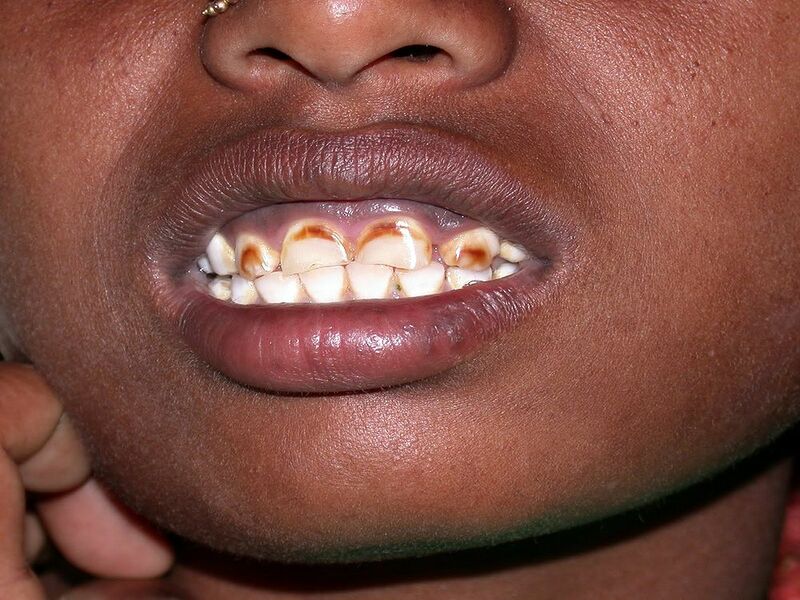 Most probably, this inconsistency in the prevalence of fluorosis occurs due to subjective perception of fluorosis by examiners. Therefore, there is a strong possibility that other Developmental Defects of Enamel (DDE) rather than excess intake of fluoride are being misdiagnosed as fluorosis (Atar & Körperich, 2010). ► Read Also : What Is PREGNANCY GINGIVITIS? The two widely-used indices of dental fluorosis are Dean’s Index (Dean, 1934; Dean, 1942) and the Thylstrup and Fejerskov Index (TF Index or TFI) (Thylstrup & Fejerskov, 1978; Fejerskov, 1988).